It is always great to enjoy plenty of rest time and a luxurious breakfast when you stay over at a beautiful bed and breakfast. At Hines Mansion it can be so easy to lose track of time and just forget about all of your worries and stress. It is also important to get plenty of fresh air and to enjoy a few adventures during your stay. One of the best ways to get plenty of adventure is by enjoying fun shopping expeditions through the day. 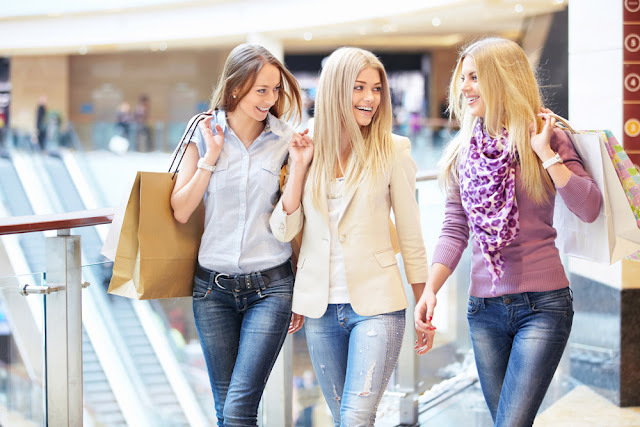 Shopping is great for relaxing your mind, for stimulating your senses and you get plenty of exercises while you are exploring this beautiful Utah city. Here are a few great shopping locations you simply must check out while you are visiting this great city. The Riverwoods shops are a definite must if you want to enjoy lots of different types of shops. The Shops at Riverwoods has an outdoor mall strip with streets for pedestrians. You can enjoy live music and scout through beautiful boutiques, lots of small shops and lovely restaurants while you get in plenty of fresh air. Provo Beach Resort, Rodizio Grill, and Blickenstaff’s are just a few examples of what’s in store for you at the Riverwoods! Though not a shopping destination, this is a great stop for coffee lovers. The shop has a unique look and you can enjoy the best tasting coffee as well as a variety of great snacks and baked goods, perfect for a detour stop to catch your breath and unwind. This enclosed shopping mall is also a great place to enjoy plenty of shopping. The food court is great and you can enjoy all the latest movies whenever you get tired of visiting various stores, restaurants, and small shops. If good shopping is what you’re looking for, look no further than the Outlets at Traverse Mountain. With shops like Nike, Michael Kors, and Columbia, you are sure to find something for the whole family at prices that are more than reasonable. The pseudo-open air style provides you with an open-air shopping experience on hot summer days and a sheltered one on the cold rainy or snowy days. If you love fresh produce then you can definitely visit the Provo Farmers Market. Although the market only runs between June through October this market has all the best, high-quality meat, dairy and more and is a perfect stop for those who enjoy healthy foods, or those who want to support local farmers. One of the most popular spots for shopping in Provo is actually in Orem: the University Place mall. Targeted towards students, this mall offers reasonable prices and you can get basically everything you need. With the new upgrades and investment into this mall, there is also a kids playground, great parking areas, and a good all-around vibe. Right in the heart of downtown Salt Lake City, the City Creek Center mall is the destination for higher-end shopping! This mall has a small creek running through the property and a retractable roof, giving it an outdoor feel in the summer. With stores and boutiques like Nordstrom, Lululemon, and Macy’s, you can enjoy hours of shopping, or spend your time at one of the many restaurants available, like Cheesecake Factory, Brio, or the food court. Explore the beautiful scenery as you make your way from Provo to Park city to shop at the Tanger Outlets. Outfitted with premium outlets with brands like Brooks Brothers, Coach, Abercrombie & Fitch, and Banana Republic, Tanger has something for everyone. Located in the scenic Park City, the drive from Provo cuts through the beautiful Provo Canyon past Deer Creek reservoir where you take in the breathtaking beauty of the mountain range. Provo has lots of exciting things to do and the shopping here is absolutely fantastic. You can enjoy plenty of great shopping centers and malls and get a true Provo experience, or if big city shopping is your thing, Provo is less than an hour away from some of the biggest outlet malls here in Utah. Book a stay with us here at Hines Mansion and come see what awaits you in Provo! This little shop is a true treasure and definitely worth your visit if you love small odds and rare items. The service is friendly and you can hustle a bit about the price on some of the products. This is every antique lover’s dream shopping spot. You can find just about any type of antique or collectible, the store has a pretty good layout and there is a huge variety of historical products to check out. Most people who visit Hines Mansion have no trouble falling asleep. The peaceful vibe in this glorious mansion immediately relaxes the mind and body and gives you a sense of calm and peace. Our luxury guest rooms also have a unique vibe that mostly results in a completely refreshing nights rest and all guestrooms are fashioned with health mattresses to promote better sleep and blood circulation. There are some people, however, who find it hard to fall asleep no matter how luxurious, relaxing or beautiful their surroundings are. The new and different atmosphere somehow just makes them feel too curious, excited, or alien to fall asleep. People who suffer from insomnia and light sleepers find it especially hard to get good rest when they are sleeping in a different location with different smells, different lighting, and different sounds. A small cup of hot milk with some honey is great for helping you fall asleep faster. This natural drink tastes amazing and has been used as a natural sleep remedy for centuries. Unlike other drinks, milk doesn’t raise your tryptophan levels and raises your internal body temperature which relaxes you and makes you feel sleepy. Honey, on the other hand, spikes melatonin production so your body will be able to tell that it is night time and time for rest. Chamomile tea is a health tea that is great for calming you down. This tea is commonly used to treat stress and tension and is also a great tea to put your body in a relaxed state so you can ease into dreamland much quicker. Aromatherapy has many therapeutic and health benefits and is also a great sleep aid. Lavender essential oil is known to calm you down and make you feel relaxed. The oil is also used to treat stress and anxiety disorders. You can use a diffuser to diffuse lavender oil in your bedroom or simply breathe in the scent right from the bottle so your body and muscles will naturally relax and so you can get better quality sleep. The surroundings at Hines Mansion is mostly quiet which means noises probably won’t disturb your sleep. But listening to peaceful music or static sounds can drain out any noises you might hear during the night and these sounds will help you fall asleep much quicker. The smell of linen can keep you awake if you are not used to a particular fragrance. If you find it hard to sleep in a new location then you can always consider bringing your own pillow along. Alternatively, you can simply take the jacket you wore during the day and throw it over your pillow. Your natural scent will mimic the smell of your bed and you will fall asleep a lot easier. With these tips, you are sure to fall asleep much quicker and get much better quality sleep no matter where you are.